All most forgot to blog about this. The next DC Universe Animated Original movie will be out soon. 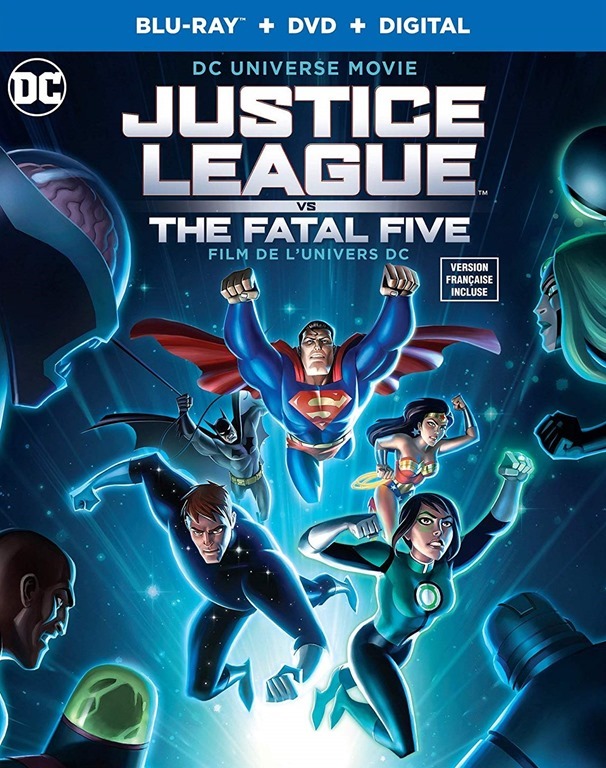 It is called Justice League vs The Fatal Five. This storyline takes place in the same time as the Batman: The Animated Series and the Justice League tv shows. It will be on digital platforms March 30 and the on Disc’s April 16, 2019. You can see the trailer > here or below. Will be getting a copy. Own all the other films. So, why stop now. It is January (2019) now. So this is a reminder that Reign of The Supermen. This is the second part to DC Universe Animated, The Death of Superman. These are part of the DC Animated Movie Universe time line. Will be out at the end of the month on Blu-ray, January 29th. A few weeks earlier on digital platforms, January 15. If you have stopped by this blog before you know I am a big fan of these movies and collect them all. The Death of Superman was pretty good. They have never did this part of the story animated before. Thinking it will be better than the first part. Will find out soon. If you missed the trailer or want to see it again you can do so > here. 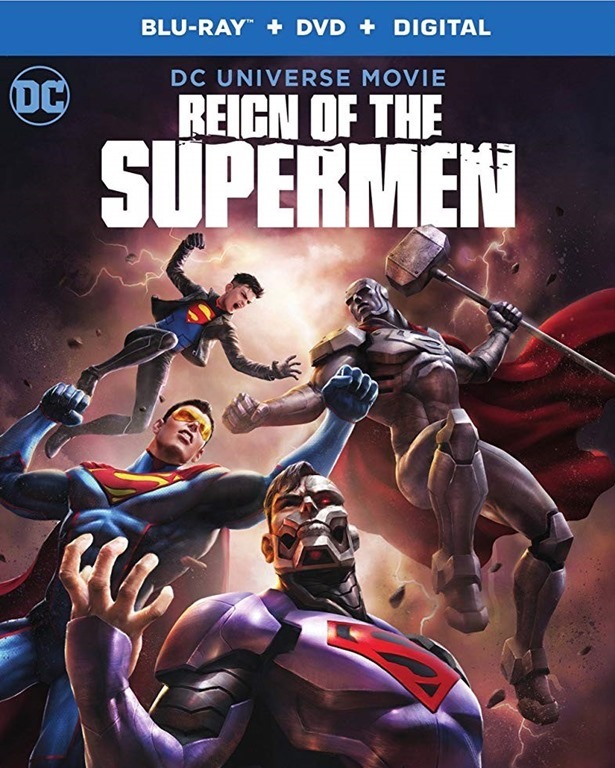 There is a trailer out now for Reign of The Supermen. 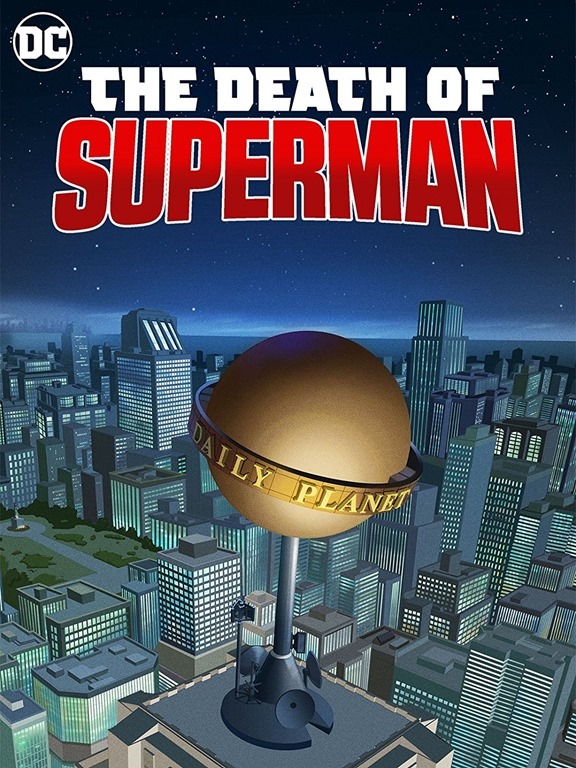 This is the second part to DC Universe Animated, The Death of Superman. These are part of the time line DC Animated Movie Universe. Really enjoyed the first part and looking forward to see this one. Am a big fan of this movies so will be getting a copy of this. Will be out on digital January 15, 2019 then on Blu-ray January 29th. You can see the trailer > here or below. The next DC Universe Animated will be The Death of Superman. This one will be in the same time line DC Animated Movie Universe. Making it the tenth one. This is all so a part one. The second part is called Reign of the Supermen. Set to be out some time in 2019. As for the story is an adaptation of the famous 1990’s comic book storyline. They kind of did this with the very first DC Universe Animated movie, Superman: Doomsday. Think this time around they will have more time to tell the full story. There is a trailer out. Which you can see > here or below. Have read it will be out on disc’s August 7, 2018. 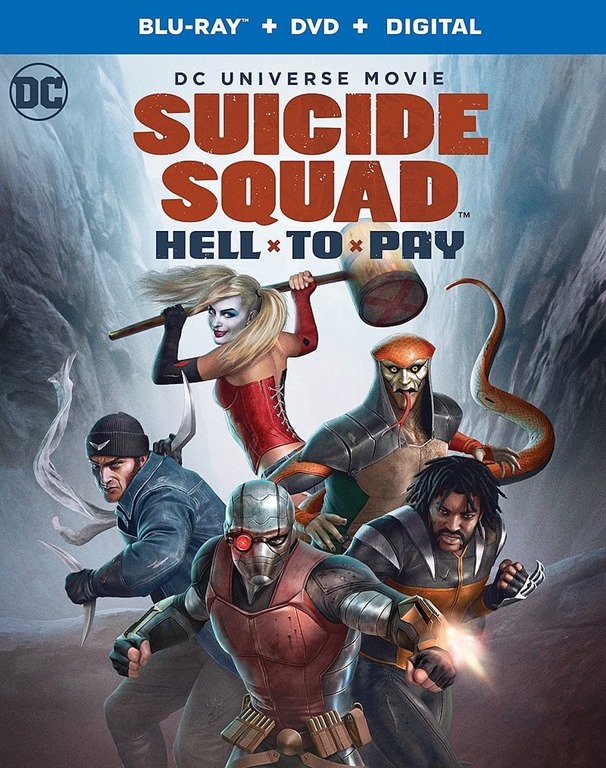 Gave Suicide Squad: Hell to Pay a watch the other day. This is the newest DC Universe Animated movie. Which takes place in the shared world of DC Animated Movie Universe. When I first started to watch this forgot this was an R rated movie. They have made some R movies in the past. But nothing like this. The have pushed things farther than ever before. Being the Suicide Squad there will be lots of death. This movies shows that a lot. There is blood and even brain matter in spots. Think this is a good thing. It is ok to have kid friendly movies. It is all so nice to have some that are for the adults. The story is your standard action affair. The squad is sent to get an object. While another group are all so trying to get the same object. Fights break out between the groups as well as each other. Of course there is more to it than that. All the acting is great. There is even some good comedy worked in as well. Over all really enjoyed this movie. Think it this is best one in this storyline universe. Well worth your time watching.